Women’s rights advocates vowed to oppose the Education Department’s proposal to alter the way schools at all levels must handle allegations of sexual assault and harassment, a change that could have big impacts at the K-12 level. 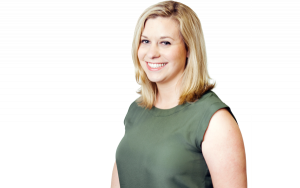 “These rules would really make schools more dangerous for students and would put in place processes that have the potential to sweep sexual harassment and sexual assault under the rug,” Deb Vagins, policy director of the American Association of University Women, told The 74. 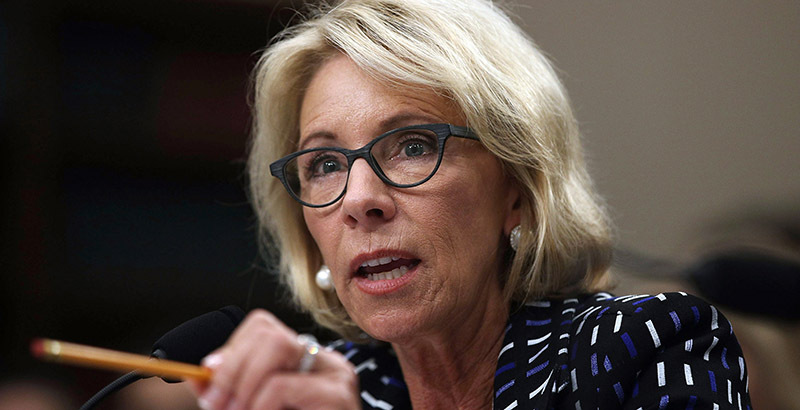 The proposal, which falls under federal Title IX protections prohibiting discrimination in education based on gender, largely tracks with changes Education Secretary Betsy DeVos first began to signal more than a year ago. The proposed rule, released Friday, will be open for public comment for 60 days once it is published in the Federal Register, after which the department will write a final rule. “We can, and must, condemn sexual violence and punish those who perpetrate it, while ensuring a fair grievance process. Those are not mutually exclusive ideas. They are the very essence of how Americans understand justice to function,” DeVos said in a press release. Data from Nov. 2, the most recent available, show the Education Department’s Office for Civil Rights had 125 pending sexual violence investigations and 160 pending sexual harassment investigations. Opponents’ first step will be to mobilize comments in response to the proposal. Shiwali Patel, senior counsel at the National Women’s Law Center, said the group will be asking the Education Department to extend the 60-day comment period, both because it isn’t long enough for people to meaningfully register their opinions and because much of it falls during the busy holiday period. The Education Department did not answer a request for comment as of publication Friday afternoon. A lawsuit is “not out of the question,” Patel said, though it likely wouldn’t be filed until a formal rule is issued. The changes largely track with what The New York Times reported this summer, based on a leaked draft — most notably, that the new rules would let schools select which evidentiary standard must be used to prove that an assault took place. Schools would be able to use the lower “preponderance of the evidence” standard, which was mandated under the Obama administration, only if that standard applies to all violations of student codes of conduct. Otherwise, they would have to use a “clear and convincing” standard. The rules are slightly different for higher ed and K-12, and it seems the department “is attempting to create a stiffer standard applicable to the K-12 context,” Catherine Lhamon, assistant secretary for civil rights during the Obama administration, told The 74. For instance, the regulations require that schools take action when officials have “actual knowledge” of an allegation of sexual harassment. At the higher ed level, that means a complaint made to a Title IX coordinator or official who has the ability to take corrective action, but at the K-12 level, a school is deemed to have actual knowledge of student-on-student harassment if any teacher is aware. Expanding the pool of officials at the K-12 level to teachers isn’t enough, advocates said. “That’s not broad enough if it’s just all teachers. It’s got to be coaches, counselors, administrators. What sort of burden are you putting on a fifth-grader?” Vagins said. The regulations would also limit schools’ culpability in events that happen “within the school’s own program or activity,” according to a department summary. The department is clear that there is no “bright line” between on-campus and off-campus. But at the K-12 level, an assault that occurs, for example, at a private home on the weekend would seem to be outside a school’s responsibility under the new rules, even if harassment continues at school, advocates said. The proposed rules would also make hearings on formal complaints optional at the higher-ed level and encourage them more broadly at the K-12 level. Criticism of the regulations streamed in from civil rights groups, women’s advocates, and congressional Democrats. After Democrats assume control of the House in January, the committee is expected to take a stronger hand in examining DeVos’s policies, particularly on civil rights issues. Not everyone, of course, opposed the changes. The proposal is a “marked improvement” over the Obama-era regulations that “make important strides toward ensuring that complaints of sexual misconduct will be neither ignored nor prejudged,” Samantha Harris, vice president for procedural advocacy at the Foundation for Individual Rights in Education, said in a release. DeVos has faced heated protests during her tenure, including on the issue of Title IX protections. She has been protected around the clock by the U.S. Marshals Service since shortly after her confirmation — a service no other cabinet member receives — at a projected cost to taxpayers of as much as $19.8 million by the end of the next fiscal year in September 2019, NBC News reported Friday.